As much as we love using Airbnb to look for accommodations before we go on our holidays, sometimes, we may still prefer the usual sterile and predictable atmosphere offered by hotels. Perhaps it’s because we think we might not be comfortable staying at a stranger’s place, or maybe we prefer to have a hotel receptionist available to us 24/7 to serve us at our beck and call. Booking a hotel may seem pretty easy and straightforward. Most of the times, you just log on to the hotel’s website, or go to platforms like Agoda or Booking (hoping for discounts), choose the type of room and dates that you want, enter payment info and ta-da! Nonetheless, if you don’t do thorough research and homework before booking a hotel, you could get yourself in real trouble. Bed bugs, bad smells, constructions, we definitely don’t want all these unforeseen circumstances to happen and ruin our trip. Therefore to avoid this situation, here are 5 useful tips to identify hotels that might not be suitable for you. 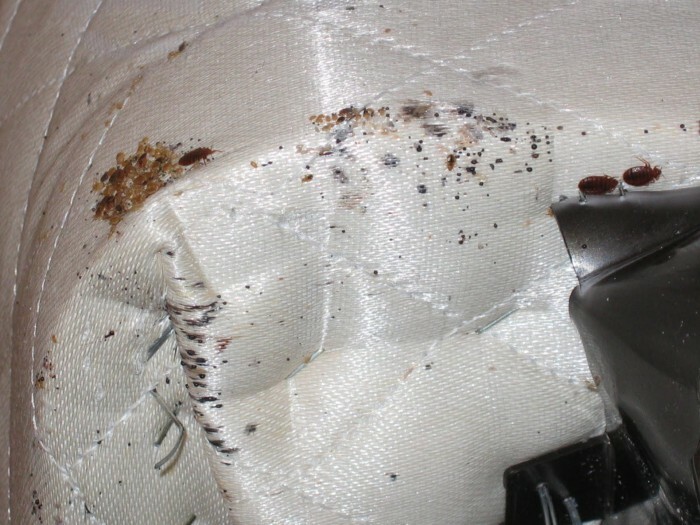 #1 Check the hotel’s mattress hygiene on Bed Bug Registry. When you’re travelling you certainly don’t want your trip to be ruined while you’re resting on your comfy bed for the night. Nothing’s more terrifying than sharing the same place to rest as these creatures and find them crawling on you. To avoid that, head over to Bed Bug Registry to check about the hotel, it’s a one stop database for people who has reported bed bugs at a hotel. However, currently their bed bug reports only consists of reports from the US and Canada. 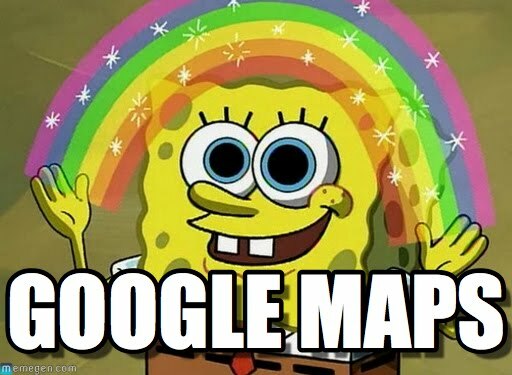 So if that’s where you’re headed, then be sure to check this website first. #2 Be wary of photos which look too good to be true. Of course hotels want to show how beautiful their lobby is, how spacious the rooms are. So photographs are taken as if they’re going to be exhibited in an art gallery. It’s certainly alright to post good pictures, but if the pictures come across as too surreal and artsy, that’s just misleading. In addition, bear in mind to not judge the size of the room by looking at the photograph. Don’t fall for photographs that are taken with fish eye lens, or close up shots of something useless like petals on the bed. Remember how different fast food meals look compared to their pictures in ads? It’s the same sorcery. To see more examples, head on to Oyster.com. It is better to go to websites like TripAdvisor or Yelp to look at actual guest photos because those photos are more authentic and reliable. #3 Always research the exact hotel location. What you see in the website gallery may not be what you will get. It is recommended to check out the hotel by searching it on Google Maps and take a closer look at the surroundings and see if their location is really that “strategic”. Some hotels say that they are located near shopping complexes or in a friendly neighbourhood, but the words “near” and “friendly” can be subjective. #4 Take a look at their Facebook page. If their Facebook page is updated actively, chances are, they care about their fans by putting a lot of time and effort to place their hotel in the best light on social media. Besides that, do keep an eye on reviews posted by Facebook users, take your time and read them so you can get genuine feedback from actual hotel guests—I promise you that you will thank me. #5 Don’t settle for less. If you’re paying for a hotel’s services, be sure to get what you’re paying for. Simple and basic amenities should be provided and you shouldn’t feel cheated by over-exaggerated photos or descriptions. 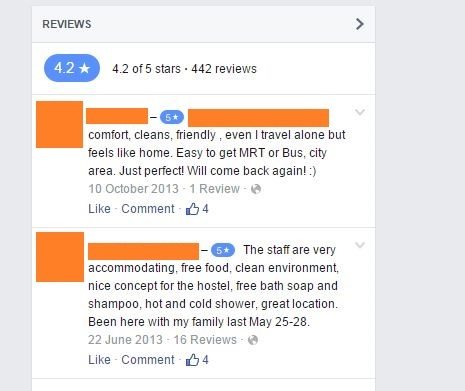 Regardless of whether it’s from TripAdvisor, Facebook, Yelp or any other review site, if the comments are majority negative and were written recently, move on to the next hotel.